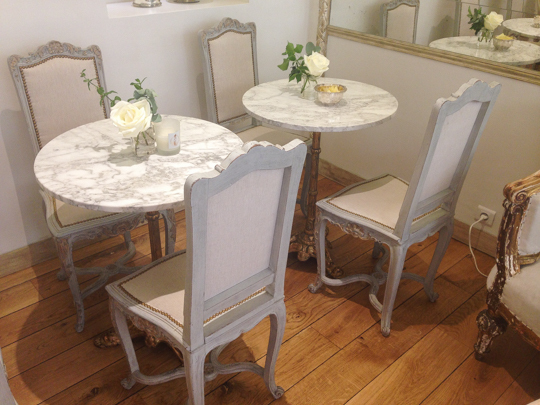 There’s a new café in Saint-Germain that makes for a perfect stop for afternoon tea or ….who doesn’t love gelato? My good friend Magda introduced me to this little gem this summer. 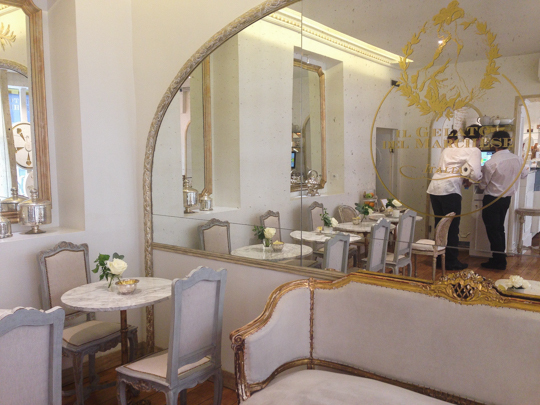 With its white marble and gold decor and intricate and thoughtful food presentation, you really feel pampered at Il Gelato del Marchese! 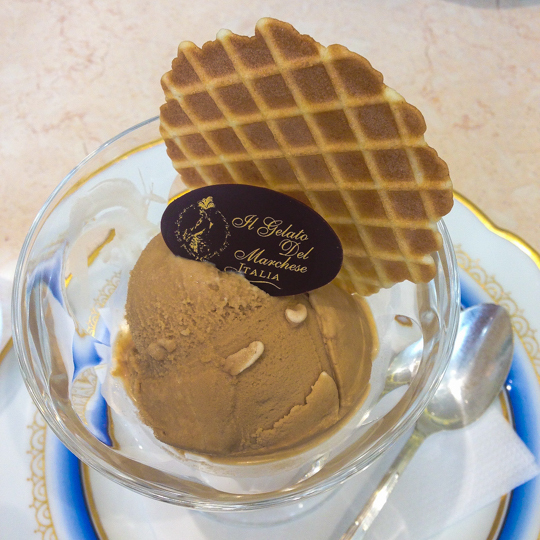 The innovative gelato flavors may take center stage, but the café also serves food and offers pastries to go.